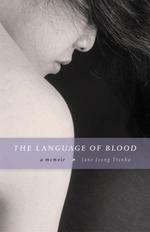 by Tanya Cromartie-Twaddle The Language of Blood: A Memoir by Jane Jeong Trenka ($23.95, Borealis Books; October 2003). 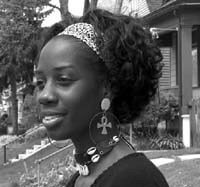 A memoir on adoption and a Barnes & Noble New Writers Program Fall 2003 selection reviewed by Tanya Cromartie-Twaddle. Tanya: How has your Korean family received the debut of this memoir? Jane: My Korean family is not fluent in English so they have not read the book, and it has not been translated. In Korea it is not polite to talk about your family, whether you are saying good or bad things. So what I’ve done is not culturally acceptable, but my family understands that I have become American and this is an American book. My elder sister gave me permission to write in her Korean way, which was to answer my questions, and then, in effect, to look the other way. Our relationship is the same as always-we still cannot talk to each other because of the language barrier, but there is an understood love between us that transcends language. I often think about my deceased Korean mother-who also broke cultural traditions…and wonder what she would think of this. Would she be proud? Or would she be ashamed? Tanya: Describe the writing process. Were there times when you thought of letting it go? Jane: Writing was painful, but concealing my pain was excruciating. When I realized that there was going to be a book, I knew there would be a price to pay. I decided very quickly that I would stop immediately if the book jeopardized my relationships with my siblings. It never did. Particularly with regards to my American sister, truth-telling/witnessing/reporting has only brought us closer. Tanya: How comfortable are you in your skin today? Jane: Oh, that is a tough one to quantify. It depends on were I am, who I’m with, what the context of the situation is. The fact is, all kinds of people have all kinds of assumptions based on how other people look, and they act on them. It takes a lot of emotional maturity and inner resources to be graceful and OK whatever the situation. Developing those skills will most likely be a life long process for me, as I suppose it is for everyone. I can’t wait to be an old lady. Maybe I’ll have things somewhat figured out. Tanya: What are your plans for building a family? Would you consider adopting a child with another ethnicity? Jane: My husband and I have talked about making a family in some way, but that’s a conversation that I’d like to keep between us. For now we have two fantastic Shiba Inus (they are Japanese dogs–do they count as children from another ethnicity? ), and we support UNICEF and UNIFEM. Jane Jeong Trenka is the recipient of the Brenda Ueland Prize, a Minnesota State Arts Board Fellowship, a Loft Creative Non-Fiction Award, and a SASE/Jerome Award. The Language of Blood may be ordered from Amazon.com with a portion of the proceeds going to the Riverwest Currents.